Agricultural science is a multidisciplinary program that studies biology, ecology, environmental effects, production techniques and the business of producing food for animals and humans. 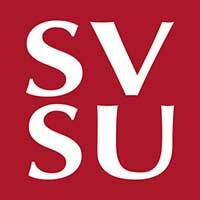 SVSU has two separate ways for students to pursue studies in agriculture. Located in the Great Lakes Bay region where agriculture is a prominent industry, SVSU offers an agricultural studies minor with two tracks. Students will specialize in one of two tracks: plant, animal and natural resources systems or the power, structural and technical systems track. The agricultural studies minor is commonly paired with a chemistry or biology major at SVSU. Or, students may choose the "2+2" transfer plan with Michigan State University. SVSU students transfer to MSU to pursuit the Pre-Agriculture/ Natural Resources program.